In today's world of 60-hour workweeks and always trying to prove our worth, taking care of our well-being while at work can seem like a job itself. We are often too caught up in the work that we do to even realize that we are running ourselves to the breaking point. While providing for our families is a big priority, we need to remember that our wellbeing is just as important. Staring at a screen all day not only has the potential to harm your vision, but can also increase levels of fatigue and stress. Take 10 minute screen breaks at least once every two hours to help realign your focus and energy. A clean desk makes for less chaos and stress. Take a little time each day to file away papers that are sitting near your keyboard, and make a point to throw away any junk you no longer need. 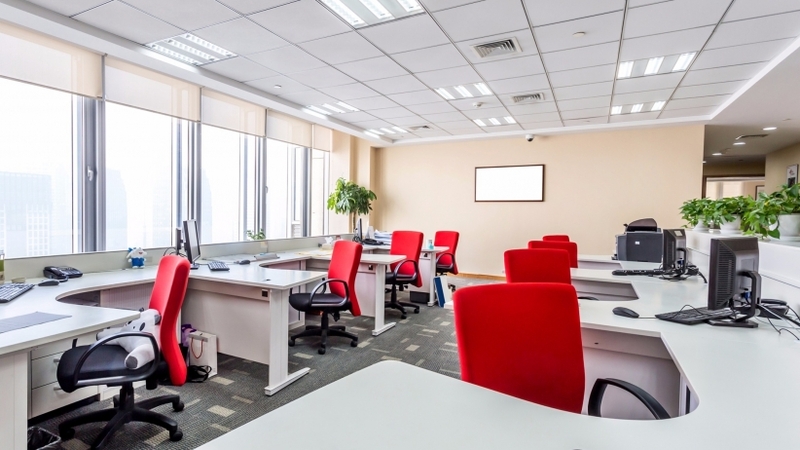 Air quality is scientifically linked to better productivity and energy, so do some research and make sure your office’s air filters are clean, and even invest in a few plants around the space to help freshen up the atmosphere. Workers sit for an average of 8+ hours each day, which can cause back stiffness and poor posture. Make a point to go for walks around your office to get your blood pumping, and even take the time to do stretches at your desk to improve muscle tension. While we all leave the office at the end of the day, work has the tendency to follow us home. Set boundaries to where you don’t check your email after 6pm on weeknights, and only once on the weekends. This will allow you your much deserved personal time and space to regroup and destress from your job. Our jobs are an intricate part of who we are as people, but the stress our careers can have on our wellbeing is harmful. By making little decisions to get moving around the office or filing away old papers, our wellbeing will improve, and thus will our overall productivity and happiness when it comes to both our jobs, and personal lives.